From time to time we all use the help ambulant toilet grab rails. To that end we are only to happy to hold on to ambulant grab rails if and when we need additional support. 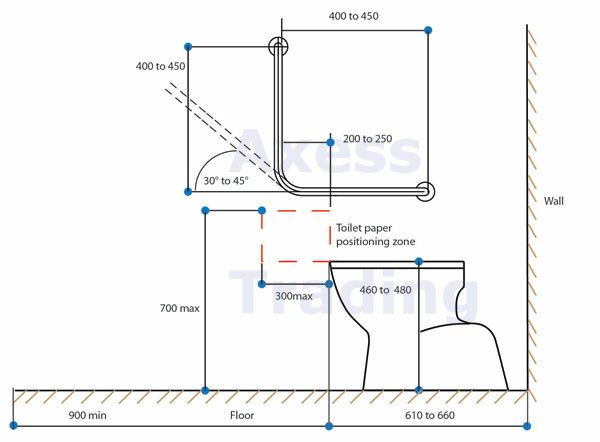 Ambulant toilet grab rails are a necessary aid in any compliant public toilet and washroom facility. Furthermore the use of ambulant toilet rails prevails in toilet cubicles at hotels, airport, shopping centres and many more. 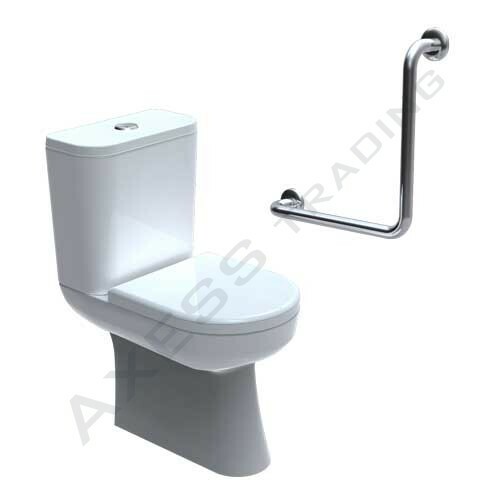 Ambulant toilet grab rails consist either of the 90 degree or 40 degree style of rail. Selection of either one is a matter of preference , prescription or specification. Builders often fix ambulant grab rails to partition walling of public toilet facilities , which in itself is a good thing to do. However, screws and fixings will be visible on the partition wall in the adjacent cubicle. Accordingly we supply cover plates for grab rail flanges installed on partitions in toilet cubicles. Partitioning boards form shower or toilet cubicle layouts in larger toilet and washroom facilities. Frequently boards vary in thickness with a minimum of 12mm. For example the purpose of stainless steel grab rail partition covers is to hide screws on the opposite side of the board. Therefore partition covers are designed for a minimum partition board thickness of 12mm. For this purpose three allen key screws are used for fastening . Furthermore these partition covers become integral parts of the grab rails when fitted. Customers can buy partition covers through our web store. The nature of our ambulant grab rails is that instalation for left or right hand use is possible as these rails have a reversible design. Besides every toilet should have a left and right rail fitted to suit all users.